Thom, a Baltimore native, grew up in the Kingsville and then Jacksonville in Baltimore County. His high schools included Kenwood, Parkville and Towson(he won't divulge whether his family moved a lot, or if he fell in the bad graces of the Baltimore County School System). While in high school, he developed a "self teaching" program in reaction to the inability of the school system to offer interesting course material. The program was simple...he devised ways not to attend classes. Armed with a large amount of free time, Thom boarded freight trains on the now defunct Maryland and Pennsylvania Railroad, and began to explore Baltimore's neighborhoods, industrial areas and business centers. His interest in Baltimore and the Baltimore speech patterns are mirrored in the web sites highlighted on this page. Upon graduation from Towson, he attended Baltimore Junior College and graduated from Michigan State University, where he earned a bachelor's degree. While in college, Thom produced programs for the local public television outlet and also hosted several programs on the campus radio stations. Upon graduation Thom returned to Maryland and began an eclectic career path that has included teaching, owning and operating businesses, government service and retail activities. 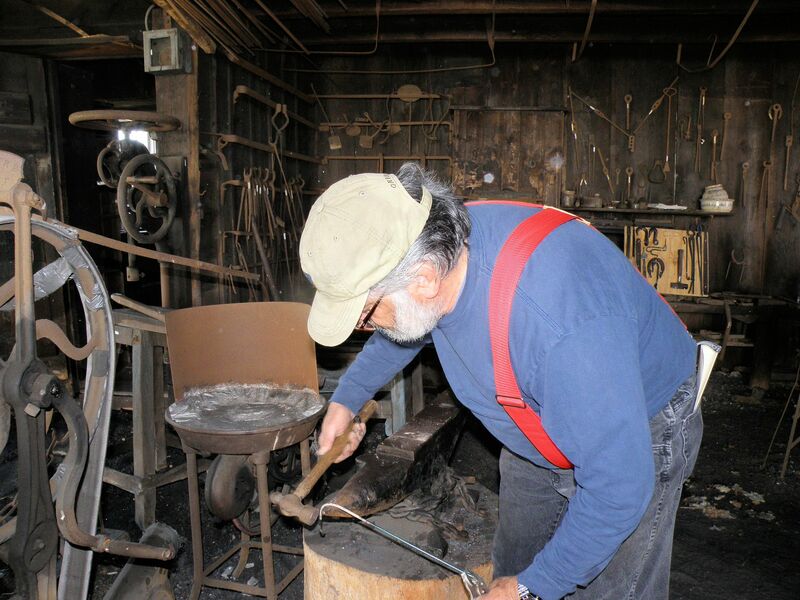 Over 50 years ago, he wandered into a blacksmith shop and was captivated by the smith and his work. At the end of the day, the smith asked if Thom wanted to learn the business. Unfortunately in pre-historic times, teenagers had no say in their lives, so he had to pass up the opportunity. Recently, he's set up shop at The Baltimore Streetcar Museum. Thom operates TLCHost.net, a web space provider. His experience with HTML, Unix, Linux and system management assures the customer base their Internet provider offers the latest technology and personal support at competitive prices. TLCHost.net also offers complete web page design and production. I am extremely honored to serve on the Board of Directors of the Glenn L. Martin Maryland Aviation Museum. As a "Martin Baby" I have many fond memories of the Glenn L. Martin Company, the Middle River area and the tremendous impact the company had on the war effort in World War II and the culture and economy of Baltimore County. I look forward to assisting the museum. Check the museum website, https://www.mdairmuseum.org/, for the many events and information about the home of Rosie the Riveter and one of the largest aircraft manufacturing factories in WWII.